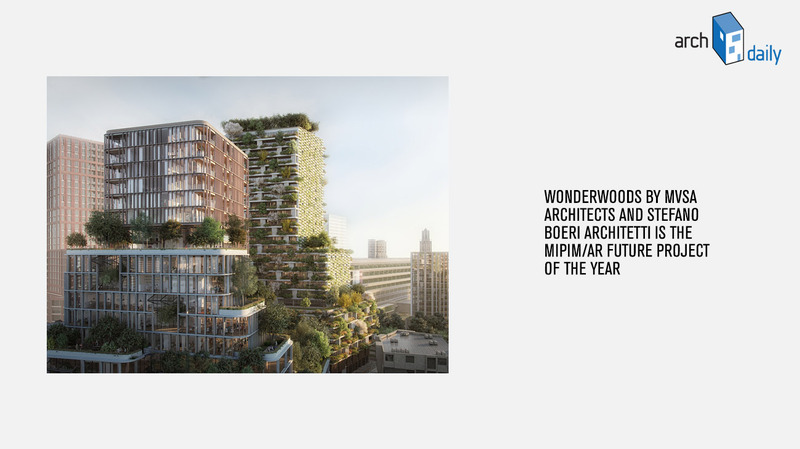 On Archdaily the news of Wonderwoods named Future Project of the Year by MIPIM and Architectural Review which on March 13th reward MVSA Architects and Stefano Boeri Architetti at the ceremony in Cannes. The prestigious award celebrates the excellence of unbuilt or incomplete projects from all over the world and of different typologies: beyond the best project of the year, urban projects and infrastructures, hotels and offices, cultural and residential projects. “Wonderwoods is a proposition that brings greenery and nature to the heart of the city, in this case, Utrecht in the Netherlands, a confluence of roads, railways and water routes. In bringing biodiversity to the city center it aims to become the centerpiece of a healthy urban quarter. One tower, designed by Stefano Boeri treats nature as an essential element in architecture. The other by MVSA is more extrovert, forging connections between nature on the inside and outside of the building”.